Bisham Parish Council is the Civil Local Authority representing residents of Bisham, Temple, Stubbings, Burchetts Green, Pinkneys Green and Cookham Dean. The Parish sits within Bisham and Cookham Ward, part of the Royal Borough of Windsor and Maidenhead. The Parish boundary extends south from the River Thames to Holloway and Maidenhead Thicket; and from Temple in the west, to The Hockett and Winter Hill in the east. The Council is responsible for representing the views of parish residents to the relevant authorities. It is a statutory consultee on all planning applications made within its area. The Council also owns a maintains a number of properties in Bisham village; The Orchard, The Playgound and the Slipway, all of which are open to the public. The meetings of the Parish council are held at 7:30pm on the third Monday of every month at Bisham Abbey. Members of the public are welcome to attend and address the Council with matters of interest. 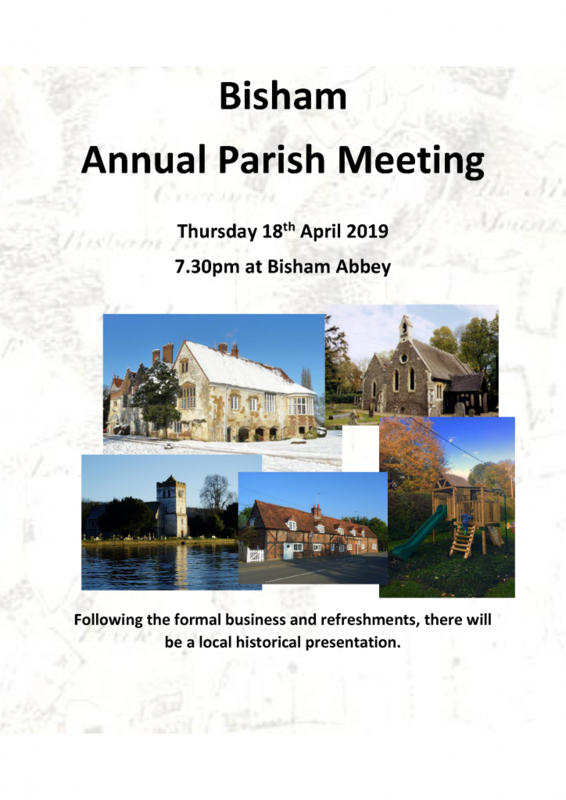 Save the Date for the Annual Parish Meeting on Thursday 18th April 2019 at Bisham Abbey. The next meeting of BPC will take place on Monday 15th April 2019 at 7.30pm in Bisham Abbey. Please click here for the agenda.